This season's first Purple & Gold - WCU Player of the Game goes to junior quarterback Troy Mitchell, who set a WCU single-game record, with a career-high 46 pass completions on 66 pass attempts in the season-opener against the University of South Florida. Troy Mitchell was also selected as the SoCon Offensive Player of the Week, the College Sports Madness' SoCon Offensive Player of the Week and Palmetto & Pine Sports' first Player of the Week! Troy tossed a pair of touchdown passes and rushed for a third score, amassing a career-high 374 yards passing. which ties him for the ninth-best, single-game performance. By halftime, Mitchell had surpassed his career-high for completions with 22 in the opening two quarters - his previous high was 20, coming against Mars Hill. Mitchell shattered two single-game records - his 46 pass completions established a new benchmark at WCU, passing former Catamount Brian Gaither's record of 35 completions set in 2003. Mitchell's 66 pass attempts surpassed Jeff Gilbert's 57 attempts against Chattanooga in 1984. Mitchell threw for a career-high 374 yards with two touchdowns, matching a ninth place record held by Mark Smith (1987 vs. The Citadel) and Jimmy Williams (1966 vs. Appalachian State). The Catamount Sports Forum, along with Purple & Gold congratulates Troy in his Player of the Game and Player of the Week selections. We hope you've enjoyed our fifth annual Catamount Sports Forum "100 days to Football Kickoff Countdown". It's now 1 day until kickoff of Catamount football at the Raymond James Stadium, home of the University of South Florida Bulls on August 30th in in Tampa, FL. Today we highlight a running back. Notes: Enters his season with 10 rushing touchdowns including a career-best five as freshman and four as a junior ... He is just 224 yards shy of 1,000 rushing for his career ... Is averaging 20.4 yards per kickoff return during his career. 2013 (Junior): Played in 11 of the team's 12 games as a reserve in the offensive backfield and on special teams, serving as the team's primary kickoff returner ... Rushed 39 times for 163 yards and four touchdowns coming in four separate games ... Was fourth on the team with 24 points scored ... Added four receptions for 33 yards out of the backfield ... Rushed for a season-high 55 yards in the season-opener at Middle Tennessee State ... Missed the Virginia Tech game ... Returned a team-high 22 kickoffs for 427 yards ... Finished ranked third in the Southern Conference in kick return average at 19.4 yards per return ... Finished with 623 all-purpose yards, averaging 56.6 per game to rank third on the team ... Named to the 2013-14 Southern Conference Honor Roll ... Rushed nine times for 29 yards with one catch for nine yards for the Purple Squad in WCU's annual Spring Game. 2012 (Sophomore): Saw action in all 11 games on the season with one start as a part of a two-back set coming at Furman ... Rushed 31 times for 159 yards and a touchdown while also catching four passes for 26 yards out of the backfield ... Was used extensively on kickoff returns, returning 19 kicks for 411 yards, both team highs ... Averaged 21.6 yards per kickoff return, a mark which ranked seventh in the SoCon ... Nearly broke a return for a score against Chattanooga, posting a career-long return of 43 yards ... Finished the season with 596 all-purpose yards to rank second on the team ... Rushed three times during WCU's annual Spring Game. 2011 (Freshman): Played in 10 games as a true freshman, missing the Samford game ... Made four starts at running back ... Led the team with 454 yards rushing on 91 carries, tallying five rushing scores to rank tied for second in scoring with 30 points ... Added one catch for seven yards out of the backfield giving him 461 all-purpose yards ... Named to the 2011 Southern Conference All-Freshman team ... Rushed for a career-high 203 yards on a career-best 21 carries in the home win over Mars Hill, amassing four rushing touchdowns ... Posted a career-long run of 82 yards against Mars Hill ... Was named the Southern Conference Freshman of the Week for his performance against Mars Hill, while also garnering honorable mention at running back by the College Football Performance Awards (CFPA) ... Was named The Sports Network/Fathead.com FCS Freshman of the Week ... He was the eighth different Catamount to record 200-or-more yards rushing in a single-game and the fifth-different, first-year player to post 200-yards on the ground ... Matched two school records in the Mars Hill win, scoring four rushing touchdowns to match a record that had been accomplished twice and tallying three, first half rushing scores - a mark that dated back to 1981 ... Added his fifth rushing TD at top-ranked Georgia Southern ... Carried the ball 15 times for 49 yards in WCU's annual Spring Game. Prior to Western Carolina: Concluded his prep career with 6,023 yards rushing and over 60 rushing touchdowns in three seasons ... Led the state of North Carolina in rushing as a senior, amassing 2,967 yards - the second-highest total in state history - with 31 rushing TDs to earn State Offensive Player of the Year by NC Preps.com ... Rushed for over 200 yards 10 times for head coach Mark Woody ... Earned All-North Piedmont Conference and North Piedmont Offensive Player of the Year honors, while also garnering All-Area and All-State accolades. Personal: Full name is Shaun Everith Warren ... Is the son of Shaun, Sr., and Trina Warren ... Both parents ran track in high school ... Has an older sibling, Greg, who played high school football at A.L. Brown HS. It's now 2 days until kickoff of Catamount football at the Raymond James Stadium, home of the University of South Florida Bulls on August 30th in in Tampa, FL. Today we'll highlight another defensive back. 2013 (Sophomore): Played in all 12 seasonal games, making 11 starts - starting every game except the Chattanooga game on the road ... Finished fifth on the team with 60 tackles on the year including 32 solo stops and two tackles for loss with half a sack ... Ranked tied for 37th overall in the SoCon in tackles ... Posted five-or-more tackles in eight games ... Recorded a career-best nine tackles against Furman, making five solo stops and posting 1.5 tackles for loss ... A career-high six of his eight tackles at Auburn were unassisted ... Credited with a team-high eight pass break-ups and was ranked tied for ninth in the conference with an 0.67 passes defended average ... Recovered a fumble in the home win over Mars Hill. 2012 (Freshman): Saw action in all 11 games in the defensive secondary, making 10 starts - each game with the exception of the Marshall road game ... Recorded 44 total hits including 23 solo stops and half a tackle for loss ... Had at least two tackles in every outing ... Posted a pair of interceptions and two pass break-ups ... Named to the Southern Conference's All-Freshman team ... Credited with a then career-high six total stops against nationally-ranked Georgia Southern ... Made his first career interception on the road at Elon, picking off a Phoenix pass in the end zone to thwart a would-be scoring drive and returned the ball 13 yards ... Tallied his second interception at home against Chattanooga. Prior to Western Carolina: Was a three-time all-region selection in southern Georgia for head coach Jody Grooms at Wayne County High ... As a senior, rushed for 612 yards and eight touchdowns while also totaling 115 receiving yards ... Defensively, posted 44 tackles and recorded three interceptions, returning one for a touchdown ... Additionally forced four fumbles from his position in the secondary ... Also played basketball as a prep. Personal: Full name is Jaleel Kadrid Lorquet ... Is the son of Eulanda Durden. It's now 3 days until kickoff of Catamount football at the Raymond James Stadium, home of the University of South Florida Bulls on August 30th in in Tampa, FL. Today we'll highlight a defensive back. 2013 (Freshman): Played in all 12 games on the season with one appearance in the starting lineup coming at Chattanooga ... Made his collegiate debut in the season-opener at Middle Tennessee State, tallying his first career tackle ... Credited with 11 seasonal tackles including seven solo stops ... Recorded a career-high four tackles twice including four at Chattanooga and at Appalachian State ... Tallied his first career interception against SEC-foe, Auburn, picking off a Jeremy Johnson pass over the middle, pulling it away from the receiver ... Also recovered a fumble against the Tigers ... Named to the 2013-14 Southern Conference Honor Roll ... Blocked a field goal attempt during WCU's annual Spring Game. Prior to Western Carolina: A four-year varsity letter winner, credited with 360 career tackles with 14 interceptions and a quarterback sack ... Was a two-time first team All-Area selection and earned All-State in his final season ... As a senior, posted a career-high 121 tackles and five INTs while also catching five passes for 296 yards and four touchdowns ... Had a 90-yard kickoff return for a TD against Apalachee High ... Returned an interception 72 yards and a fumble 35 yards for a touchdown in a state playoff game ... Additionally tallied five receptions for 296 yards and four receiving touchdowns in his final season as a prep ... Finished with a career-best 136 total tackles including 88 solo stops as a junior ... Listed as a two-star prospect by Rivals.com. Personal: Full name is Fredtavious Diquan Payne ... Is the son of Anita Harrison, grandmother Edith Williams and aunt, Crystal Wilmont ... Has two siblings - Anika Carrington and Nikita Payne ... His cousin, A.J. Johnson, plays football at Tennessee ... Worked as a mentor and volunteered with local elementary schools and the Boys & Girls Club. It's now 4 days until kickoff of Catamount football at the Raymond James Stadium, home of the University of South Florida Bulls on August 30th in in Tampa, FL. Today we'll highlight a line backer. 2013 (Sophomore): Started in the defensive secondary in 12 of the seasonal games despite battling through nagging injuries most of the year ... Finished third on the team with 96 tackles including 45 solo stops and 2.5 tackles for loss ... Ranked 12th in the Southern Conference with an average of 8.0 tackles per game ... Tallied double-digit tackles three times including matching a career-high with 16 stops at home against The Citadel, 14 against Furman in Cullowhee and 10 on the road at Samford ... Forced a fumble in the season-opener at Middle Tennessee State ... Named to the 2013 Fall Academic All-SoCon team and to the 2013-14 Southern Conference Honor Roll ... Was limited during spring drills and did not play in WCU's annual Spring Game. 2012 (Freshman): Started 10 of WCU's 11 games as a true freshman ... Named to the Southern Conference All-Freshman team ... Finished third on the team with 93 total tackles including 48 solo stops and 3.5 tackles for loss with two sacks ... Recorded double-digit tackles in five games including a career-high 16 against nationally-ranked Appalachian State ... Made a career-high eight solo tackles against the Mountaineers ... Was tied for the team lead with four forced fumbles including one on a quarterback sack in the end zone against Samford that was recovered for a game-opening touchdown ... Recovered one fumble and was credited with a pass break-up ... Named to the 2012-13 Southern Conference Honor Roll ... Finished with eight tackles in WCU's annual Spring Game. It's now 5 days until kickoff of Catamount football at the Raymond James Stadium, home of the University of South Florida Bulls on August 30th in in Tampa, FL. Today we'll highlight another wide receiver. 2013 (Freshman): Played in all 12 of the team's seasonal games, making five starts at wide receiver ... Made his collegiate debut in the season-opener at Middle Tennessee State with his first career start coming in the home-opener against Mars Hill ... Finished the season third on the team in receptions and receiving yards, hauling in 40 catches for 367 yards ... Added nine rushing yards on three attempts to finish with 376 all-purpose yards on the year ... Made his first rush against ACC-foe, Virginia Tech, with a nine-yard end-around ... Recorded his first collegiate reception against The Citadel - a 23-yard pitch-and-catch in the third quarter ... Tallied a career-best seven catches twice against both Wofford and Elon at home ... Hauled in a career-long reception of 36 yards as a part of a career-best 63 yards receiving at home against Furman ... Named to the Southern Conference All-Freshman team. Prior to Western Carolina: Named the Region 5-AAAAAA Offensive Player of the Year ... Tabbed second team offense at wide receiver in the 2012 Georgia Sportswriters Association (GSWA) All-State ... Also listed on the 2012 Football All-Senior team by the GPB Sports Blog ... An All-County WR, was selected to the Cobb County All-Star Senior Bowl ... Recorded a 206-yard receiving performance against Kell High in Sept. of 2012 which included a 90-yard touchdown catch as a part of the four TD game ... Earned the TD Club of Atlanta's Back of the Week honor ... Played running back as a junior. Personal: Is the son of Shunta Hammond. Scholarship Offers: In addition to Western Carolina, Barkley has offers from Appalachian State, Campbell, Charlotte, East Carolina NC Central, UNCW, Middle Tenness, Radford, UNCG, and Western Kentucky. 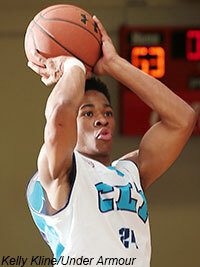 Phenom Hoop Report: Barkley is blessed with a tremendous basketball body. He has size, strength and an enormous 6’11 wingspan. Without question, Barkley has the entire physical attribute that is envied by division one-college coaches. However, it is the intangibles that are even more impressive. Recently, Kentrell Barkley was instrumental in leading Team Loaded Virginia to back-to-back Big Shots Myrtle Beach Slam Championships. In the Big Shots I championship, Team Loaded Virginia beat the pre-tourney favorite Team Loaded North Carolina featuring consensus top ten players nationally Dennis Smith and Edrice Adebayo. His performance in Big Shots II was so impressive that he was named the tournament’s MVP. 6 Days 'till Kickoff - #6 C.J. Goodman Jr. It's now 6 days until kickoff of Catamount football at the Raymond James Stadium, home of the University of South Florida Bulls on August 30th in in Tampa, FL. Today we'll highlight a wide receiver. 2013 (Redshirt Freshman): Played in all 12 games making three starts at wide receiver including his first career start in the season-opener at Middle Tennessee State ... Caught 16 passes for 182 yards, making his first career reception at MTSU ... Posted a career-high five catches in the season-finale against Appalachian State with a career-best 46 yards receiving against Furman ... Returned three kickoffs for a combined 51 yards with a long of 17 accomplished twice ... Credited with one tackle assist on the season. Prior to Western Carolina: Selected to the Cobb Senior Bowl as a senior ... Listed as a "dual threat quarterback" ... As a junior, threw for over 1,340 yards and 10 touchdowns, adding over 430 yards rushing and four scores ... Also ran track & field as a prep, competing in the high jump and sprint events ... Joined by high school teammate, Sertonuse Harris, to sign at WCU in 2012. Personal: Full name is Curtis Bernard Goodman Jr., but goes by C.J. ... Is the son of Curtis Goodman Sr., and Monica Brown ... Has three siblings - Brent Brown, Jarrett Brown and Jordan Brown. It's now 7 days until kickoff of Catamount football at the Raymond James Stadium, home of the University of South Florida Bulls on August 30th in in Tampa, FL. Today we'll highlight a linebacker. 2013 (Junior): Started all 12 games at the linebacker position ... Was second on the defensive unit with a career-best 101 tackles including 49 solo stops and 2.5 tackles for loss ... Recorded double-digit tackles four times including 10 against The Citadel, 12 against nationally-ranked Wofford, a career-high 13 in the win over Elon and 12 against Furman ... Posted eight-or-more tackles in seven of the 12 games ... His 8.4 tackles per game average ranked sixth in the Southern Conference ... Forced two fumbles on the year ranking tied for eighth in the SoCon (0.17 per game) while recovering one ... Tallied three pass break-ups and recorded his first career interception at ACC-foe, Virginia Tech, intercepting Logan Thomas. 2012 (Sophomore): Played in six games, all as a reserve on the WCU defense ... Finished the season with nine total tackles including two solo stops ... All of his tackles came in the road game at Marshall in early September. Western Carolina Athletic Director Randy Eaton announced today the suspension of five WCU football players. In total, there will be four (4) players suspended for one game, and one (1) player suspended for two (2) games. Four of the player suspensions are for violation of WCU's academic standards for class attendance; tutors; and the Academic Enhancement Program. Serving a one game suspension will be defensive linemen Fred Mooring & Tahjai Watt, defensive back Bryson Jordan, and wide receiver Seth Curtis. The four will will serve their one game, departmental levied suspension by not traveling to Tampa, Fla., for the season-opener against the University of South Florida. "Last year, we initiated more rigid standards of attendance, punctuality and behavior as it related to our Academic Enhancement Program (AEP), which includes tutor sessions, study hall and classes. Unfortunately, some of our student-athletes did not take this seriously and they are now facing the consequences," said Eaton, "I want to make sure the young people within our athletic department understand the meaning of 'student-athlete,' even if it is a difficult lesson for some of them." The fifth student-athlete that will be serving a suspension is junior wide receiver Karnorris Benson, who will be serving a two game suspension from NCAA rules related to academic eligibility requirements from the 2013 fall semester. It's now 8 days until kickoff of Catamount football at the Raymond James Stadium, home of the University of South Florida Bulls on August 30th in in Tampa, FL. Today we'll highlight wide receivers. 2013 (Sophomore): Did not participate in football in the fall, rejoining the team for spring drills. 2012 (Freshman): Played in nine of WCU's 11 games including six starts at wide receiver, missing the final two games of the regular season ... Was second on the team with 39 receptions and 376 yards including a long of 47 yards with one touchdown reception ... Ranked fifth in the SoCon with a 4.3 receptions per game average while his 41.8 receiving yards per game ranked eighth ... Made his collegiate debut in the season-opener against Mars Hill, catching five passes for 16 yards ... In his first career start at ninth-ranked Wofford, caught a career-high nine passes for 91 yards ... Matched his career-best with nine catches for a career-high 139 yards at Elon, hauling in his first receiving TD on a 47-yard scoring strike from classmate Troy Mitchell. It's now 9 days until kickoff of Catamount football at the Raymond James Stadium, home of the University of South Florida Bulls on August 30th in in Tampa, FL. Today we'll continue to highlight quarterbacks. Prior to Western Carolina: Passed for over 3,500 yards in his final two seasons of high school including over 2,300 yards and 16 touchdowns as a junior ... Was an offensive honorable mention at QB on the 8-AA All-Region team ... In addition to quarterback, also played in the defensive secondary as a prep, moving to the position primarily as a senior after a thumb injury ... Played for former Catamount Lee Shaw at Rabun County HS. It's now 10 days until kickoff of Catamount football at the Raymond James Stadium, home of the University of South Florida Bulls on August 30th in in Tampa, FL. 2013 (Sophomore): Played in 11 of the team's 12 games making nine starts in the offensive backfield ... Finished with a team-high 1,614 yards passing, completing 131-of-227 (57.7%) of his passes on the year with 12 touchdown passes against 10 interceptions ... 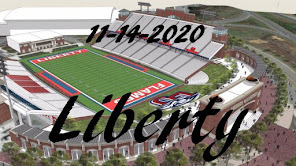 Rushed 133 times for 565 yards, ranking second on the team in total rushing yards and average per game (51.4 yds/gm) ... Ranked fifth in the Southern Conference in both passing (146.7 yds/gm) and total offense (198.1 yds/gm) ... Additionally ranked fourth in the league in passer efficiency (126.1) ... Opened the season with touchdown passes in each of the first three games ... Threw for a career-best 350 yards and a career-high three touchdown passes in the come-from-behind victory over Mars Hill, matching a career-best with 20 completions ... Tallied a career-best 414 yards of total offense against the Lions ... Rushed for a season-high 106 yards against The Citadel - his two, 100-yard rushing games have both come against the Bulldogs ... Credited with a solo tackle ... Completed 15 of his 26 pass attempts for 156 yards and two TDs, carrying the ball nine times for 29 yards on the ground in WCU's annual Spring Game. 2012 (Freshman): Saw action in all 11 of the team's games, making five starts at quarterback ... Became the third true freshman quarterback to start at WCU since 1991, joining Chad Greene (1991) and Brandon Pechloff (2010) ... Named to the 2012 Southern Conference All-Freshman team ... Rushed 112 times for 433 yards, second on the squad ... Led the team with eight rushing touchdowns, the most by a Catamount QB, surpassing Josh Brook's five rushing scores in 1996 (research back to 1967) ... Finished the season with a team-leading 50 points, adding a two-point conversion rush ... Completed 85-of-142 pass attempts for 862 yards with four touchdowns and four interceptions ... Led WCU in total offense, amassing 1,295 yards - a mark which ranked him eighth in the SoCon ... Tossed his first career touchdown pass to Jacoby Mitchell at Elon, coming on his 66th career pass attempt ... Twice named SoCon Freshman of the Week ... Picked up his first honor after completing 20-of-29 passing (both career highs) for 149 yards and rushing for 38 yards and a pair of scores in the season-opener against Mars Hill ... Was the fourth WCU freshman or redshirt freshman QB to earn SoCon honors after first career start (Adam Hearns, 2007; Zack Jaynes, 2008; Brandon Pechloff, 2010) ... Again earned SoCon and SouthernPigskin.com Freshman of the Week honors after guiding WCU's second-half comeback at Elon with 175 yards passing and two touchdown passes ... Threw for a then career-best 176 yards on 18-of-30 passing against Chattanooga. Personal: Full name is Troy Lavaughn Mitchell ... Is the son of Troy and Shanita Mitchell ... Has two siblings, Raybon and Zurie ... Was born in Mobile, Ala., before moving to Texas. It's now 11 days until kickoff of Catamount football at the Raymond James Stadium, home of the University of South Florida Bulls on August 30th in in Tampa, FL. Prior to Western Carolina: A dual-threat quarterback who earned first team all-region for 8-AAAAA in Georgia as a senior ... As a junior, passed for 1,627 yards and 819 yards rushing while accounting for 32 touchdowns including 18 rushing and 17 through the air passing ... Listed as a two-star prospect by Rivals.com and 247sports ... Led Flowery Branch to a Region 8-AAAAA title in 2012 ... High school coach was Chris Griffin. Personal: Is the son of Gus McDonald and Tracy Ferguson. It's now 12 days until kickoff of Catamount football at the Raymond James Stadium, home of the University of South Florida Bulls on August 30th in in Tampa, FL. No player is assigned #12 at this time, so we'll highlight another freshman. Prior to Western Carolina: Though he played predominantly at the punter position, also has experience as a wide receiver and quarterback as a prep ... Was a first team all-region selection as a punter as a senior, also earning second team all-state plaudits from the Cedrick Oglesby Kicking Academy ... Ranked fourth on Kornblue Kicking's Fab Top 50 Punters rankings ... Also played soccer as a prep for a ranked Fellowship Christian boys program. Personal: Intends to major in athletic training. Scholarship offers: In addition to Western Carolina, Rayjon has offers from Virginia Tech, PC, Radford, UNCG, Campbell, Charlotte, Gardner-Webb, Boston College, Winthrop, Western Kentucky, Wofford, and Rode Island. It's now 13 days until kickoff of Catamount football at the Raymond James Stadium, home of the University of South Florida Bulls on August 30th in in Tampa, FL. No player is assigned #13 at this time, so we'll highlight a recent transfer from Indiana to the Catamounts. Kris will wear the previously vacant #25 this season. 2013 (Freshman): Redshirted the 2013 season at Indiana ... Was a two-time scout team player of the week (Missouri and Michigan State) for the Hoosiers ... Transferred to WCU prior to the 2014 season. Prior to Western Carolina: Played two years of football at Flowery Branch and also lettered in track and field ... Played linebacker for head coach Chris Griffin at Flowery Branch High School ... Made 103 tackles, 12 sacks, including one safety, and 21 tackles for loss as a senior ... Named first team all-state and all-region selection ... Earned the team's most outstanding linebacker ... Played in the 2012 GACA North-South All-Star Game and the 2012 East-West Metro Atlanta All-Star Game ... Participated in the 2012 U.S. Army National Combine ... Team won the Region 8-AAAA championship in 2011 and 2012 ... Rated the No. 41 outside linebacker nationally by ESPN.com out of high school ... Tabbed a 2012 Flowery Branch Scholar-Athlete. Personal: Full name is Kristopher Bryce Smith ... Is the son of Sean and Pam Smith. Scholarship offers: In addition to Western Carolina, Hunter has offers from Coastal Carolina, Radford, Furman, High Point, Winthrop, Loyola (MD), UNCW, Gardner-Webb, William & Mary, ETSU, Towson, Samford, ASU, Lehigh, Dartmouth, James Madison, Charlotte, & Princeton. PSB Select - "Hunter is a long, athletic big guy. He is a natural shot blocker with tremendous length (7’0” wing span), and he snatches any rebound that is in his area. He moves his feet well to be able to slide in front of his man, as well as come over to help out his teammates. Hunter’s best attribute is his ability to run the floor, especially on a fast break, and he scores well over his left shoulder. Hunter can also knock down a jump shot from 15-18 feet with consistency and has more recently started to make 3’s. Hunter’s ceiling is unlimited as he is still growing and finally beginning to get comfortable with his lanky body. He most recently led his Lake Norman HS team to the NC high school state championship game alongside Kishawn Pritchett." It's now 14 days until kickoff of Catamount football at the Raymond James Stadium, home of the University of South Florida Bulls on August 30th in in Tampa, FL. 2014 (Redshirt Junior): Named to the College Football Performance (CFPA) Football Championship Subdivision (FCS) Wide Receiver Award Watch List for 2014 ... Including his record-tying dozen TDs a season ago, has 13 career touchdown receptions - just two shy of a six-way tie for seventh in WCU's career record books and 13 shy of Gerald Harp's school-record of 26 set between 1977-80. 2013 (Redshirt Sophomore): Started all 12 games at wide receiver ... Hauled in a team-leading 51 receptions for a career-high 834 yards ... Matched WCU's 30-year old school single-season record for receiving touchdowns in a season set by Eric Rasheed back in 1983 with 12... Named second team All-Southern Conference by both the league's head coaches and voting media ... Earned first team All-SoCon accolades as selected by College Sports Madness ... Finished the season ranked second in the league with a 69.5 yards per game average and fifth with 4.2 receptions per game ... the top scoring wide receiver in the SoCon, ranked fourth in the SoCon in scoring (touchdowns) averaging 6.0 points per game ... His 72 points scored were tied for the fourth-most by an individual in the SoCon in the fall, and were the most by a Catamount individual since 2001 when Fred Boateng finished with 74 points, adding a two-point conversion to his 12 rushing TDs. ... Recorded 100-or-more yards in four games on the year including 113 at Middle Tennessee State; 116 against nationally-ranked Wofford; 129 in the home win over Elon; and the top receiving performance of any wide out in the SoCon this season with his career-high 212 yards in WCU's home win over Mars Hill ... Was a two-time College Football Performance Awards (CFPA) honorable mention - career-high 212 receiving yards on nine catches including three TDs in the home win over Mars Hill on Sept. 23 and in the home win over Elon after two scoring receptions of 80 and six yards ... Became just the fifth WCU receiver to eclipse the 200-yard receiving plateau with the 212 yards ranking third on the school's all-time single-game receiving records. 2012 (Redshirt Freshman): Started four of the nine games in which he saw action ... Finished fourth on the team with 19 receptions while his 349 receiving yards were the third-most on the squad ... Tallied receptions in eight of the nine games he appeared ... Recorded a career-high 83 yards receiving at nationally-ranked Wofford ... Pulled down a career-best four catches at Furman, finishing with 75 yards ... Hauled in his first career touchdown pass against Chattanooga on a 42-yard score that gave WCU a 24-16 halftime lead over the Mocs ... Tallied a team-high seven receptions for 90 yards and three touchdowns in WCU's annual Spring Game. 2011 (Freshman): Originally signed with Western Carolina in the 2010 incoming class but did not qualify, sitting out his freshman season ... Later granted a redshirt. 15 Days 'till Kickoff - #15 Michael Helms Jr. It's now 15 days until kickoff of Catamount football at the Raymond James Stadium, home of the University of South Florida Bulls on August 30th in in Tampa, FL. 2013 (Redshirt Freshman): Saw action in 11 of the team's 12 games, missing the season finale at Appalachian State ... Made six starts at tight end ... Hauled in 10 passes for 181 yards and a touchdown ... Caught a career-best two passes in three different games ... Recoded his first career reception on a 15-yard completion against FBS-foe, Virginia Tech ... Tallied a pair of receptions for a career-best 79 receiving yards at Samford, posting a career-long catch of 65 yards - the second-longest reception by a Catamount on the year ... Caught an eight-yard touchdown pass in the home overtime win over Elon for his first collegiate score ... Was also credited with two tackles ... Named to the SoCon All-Freshman team. 2012 (Freshman): Did not see game action, taking a redshirt ... Converted from quarterback to wide receiver early in the 2012 season ... Made the move to tight end during spring drills ... Enrolled at Western Carolina for the spring semester in January, 2012 and participated in 2012 spring drills with the Catamount football team ... In the annual spring game, completed all three pass attempts for 13 yards while rushing for 27 on the ground. Scholarship offers: In addition to Western Carolina, Maye has offers from Gonzaga, St. Joseph's, Notre Dame, Rhode Island, CofC, Clemson, Charlotte, Davidson, Richmond, and VT.
Jamie Shaw, SE Region Scout - "Luke Maye is a rugged player. Always around the action, defends and rebounds hard. Pushes the break with control and vigor. Finishes at rim or in the mid range. Has soft touch beyond 3, a quick release. Can handle in open court or from the wing." It's now 16 days until kickoff of Catamount football at the Raymond James Stadium, home of the University of South Florida Bulls on August 30th in in Tampa, FL. It's now 17 days until kickoff of Catamount football at the Raymond James Stadium, home of the University of South Florida Bulls on August 30th in in Tampa, FL. 2013 (Redshirt Freshman): Played in all 12 games as a defensive reserve and on special teams ... Credited with four total tackles including three solo stops ... Tallied a career-high two hits in the season finale against Appalachian State ... Led the team with three fumble recoveries, ranking tied for second in the Southern Conference in the category (3, 0.25/gm) ... Recovered fumbles against Virginia Tech, Georgia Southern and Appalachian State - all three games coming on the road. Scholarship offers: In addition to Western Carolina, Robinson has offers from NCCU, Campbell, Radford, Richmond, UNCW, Boston College, FIU, Old Dominion, and Miami (OH). It's now 18 days until kickoff of Catamount football at the Raymond James Stadium, home of the University of South Florida Bulls on August 30th in in Tampa, FL. Note: Prior to the 2014 season, roster moves prompted his return to the quarterback position for which he was recruited to Western Carolina initially ... Has played in 28 career games with limited time as a QB - most of which came in the "Wild Catamount" formation his freshman season. 2013 (Junior): Appeared in eight games on the season, starting the season at wide receiver before converting to running back midway through the season ... Rushed six times for 26 yards on the season ... Carried the ball a season-high three times and 17 yards at Auburn ... Led the team with eight punt returns for 60 yards, averaging 7.5 yards per return ... Finished with 86 all-purpose yards on the year. 2012 (Sophomore): Appeared in all 11 games, twice making a start on offense at wide receiver at Furman and Alabama ... Caught seven passes for 98 yards on the season, adding 20 rushing yards on two carries to give him 118 all-purpose yards on the season ... Matched a single-game career-high with three receptions at Furman, also rushing twice for 20 yards ... Sparked a scoring drive against the Paladins by completing his first collegiate pass - a 16-yard strike to Nate Stephenson. 2011 (Freshman): Played in eight games with two starts at wide receiver, making his debut at home against Mars Hill ... Saw most of his action early in the "Wild Catamount" formation as the quarterback ... Made his first collegiate reception seven games into the year, catching a 17-yard pass early in the third quarter against The Citadel ... Finished with five catches for 124 yards and a touchdown ... Posted a career-high of three catches for 94 yards against The Citadel, hauling in a 61-yard scoring strike as the only points for WCU in the loss ... Recorded 11 rushes for 31 yards and one touchdown, scoring his first collegiate points on a three-yard run in the home opener against Mars Hill ... Also returned four kickoffs for 56 yards including a long of 22 ... On the baseball diamond, played in 24 games, scoring eight runs and stealing five bases in six attempts. Prior to Western Carolina: Named the 2010 Asheville Citizen-Times All-Western North Carolina Football Player of the Year after accounting for a WNC-record 55 touchdowns his senior year ... Set a Buncombe County record for passing yards in 2010, amassing 3,429 yards ... Selected to the NCPreps.com 3-A All-State football team as a quarterback ... Is a two-sport athlete and will play both football and baseball at WCU ... An All-Mountain Athletic Conference (MAC) outfielder and catcher, was selected by the Colorado Rockies in the 43rd round of the 2011 Major League Baseball First-Year Player Draft ... On the diamond as a senior, hit a team-leading .449 with six home runs, four doubles and 13 RBI ... Stole 17 bases in 18 attempts . It's now 19 days until kickoff of Catamount football at the Raymond James Stadium, home of the University of South Florida Bulls on August 30th in in Tampa, FL. Today, we'll highlight wide receivers. 2013 (Redshirt Freshman): Played in nine games on the year as a reserve wide receiver ... Made his collegiate debut in the season-opener at Middle Tennessee ... Recorded two pass receptions for 34 yards including a career-long 18-yard catch, all coming at Samford. 2012 (Freshman): Redshirted ... Caught three passes for 47 yards including a 28-yard TD reception in WCU's annual Spring Game. Prior to Western Carolina: Set the Murphy HS record for career yardage (rushing and passing) with 7,794 yards including over 5,000 yards through the air ... As a three-year starter, led the Bulldogs to 33 victories ... Tabbed as the NCPreps.com 1-A Player of the Year ... Also named the Asheville Citizen-Times All-WNC Player of the Year while also being touted as the 2011 Smoky Mountain Conference Back of the Year ... Guided the Bulldogs to back-to-back state title games, winning Murphy a NCHSAA 1-A championship as a senior - the first state championship for the school since 1996 ... Threw for 2,111 yards and 21 touchdowns with just five interceptions while also rushing for 1,301 yards and 20 TDs. Personal: Is the son of David and Melanie Curtis. 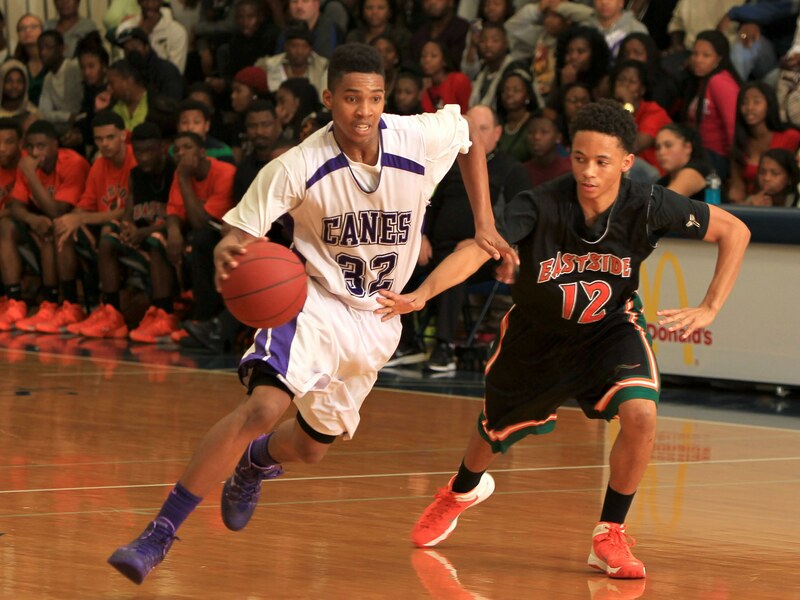 Source hoops: "Ike Smith, a 6’3 guard from Gainesville High, played both the point and off-the ball. We liked him better off the ball as he had too many unforced turnovers when he was charged with directing the offense. Smith shoots the ball well off the catch and is a solid free throw shooter. As long as he sticks to making the easy pass, he does a respectable job of finding open teammates for shots when on the move. One plus is that he is a very good rebounder for his size." It's now 20 days until kickoff of Catamount football at the Raymond James Stadium, home of the University of South Florida Bulls on August 30th in in Tampa, FL. Today, we'll continue to highlight running backs. 2013 (Sophomore): Started all 10 games in which he saw action on the season, missing the first two games of the season for precautionary reasons due to a nagging foot injury ... Recorded a single-season best 570 rushing yards on 139 carries with four rushing touchdowns ... Ranked 10th in the Southern Conference in rushing, averaging a team-best 56.5 yards per game ... Eclipsed the 100-yard rushing mark three times including a season-high 116 yards against Furman ... Added 11 receptions for 86 yards and a TD coming out of the backfield ... Caught his first career touchdown pass on a 25-yard reception at Appalachian State in the season finale ... Finished third on the team in both scoring with 30 points and total offense with 570 yards (57.0 yds/gm) ... Named to the 2013 Fall Academic All-Southern Conference team ... Credited with a tackle ... Named to the 2013-14 Southern Conference Honor Roll ... Rushed seven times for 28 yards overall, adding a reception out of the backfield while also rushing for a touchdown in the special overtime, non-scored session just after the halftime break in WCU's annual Spring Game. 2012 (Freshman): Appeared in nine of WCU's 11 games with four starts at running back ... Led the team with 503 yards rushing on the season, averaging a team-leading 55.9 yards rushing per game to rank 10th in the SoCon ... Scored a pair of rushing touchdowns ... Ranked third on the team with 25 receptions out of the backfield, finishing with 131 yards with a 14.6 yard per game average ... Named to the 2012 Southern Conference All-Freshman team ... Started the season opener in the backfield in his collegiate debut against Mars Hill, rushing for a career-high 120 yards on 20 carries ... Set career highs with four catches for 32 yards at Marshall ... Recorded his first collegiate touchdown at ninth-ranked Wofford, plunging in from two-yards out with 5:25 remaining in the third quarter ... Eclipsed the 100-yard rushing mark a second time at The Citadel, collecting 118 yards on 16 carries ... Rushed for 72 yards and his second career TD against Chattanooga ... Named to the 2012-13 Southern Conference Honor Roll. Prior to Western Carolina: Named the Cleveland County Player of the Year and was selected to the Cleveland County All-County team as a senior ... Selected to the second team offense of the All-Region team by the Charlotte Observer ... Rushed for 1,928 yards - the fifth-best in county history - with 31 touchdowns as a senior, accounting for 198 total points - the highest single-season total in county history ... Helped guide Burns HS to the NCHSAA West Region finals, finishing with a 13-2 record ... Finished his career with 4,627 yards, the tops in Burns High history and third all-time in the county .. .Was a three-time South Mountain Athletic Conference selection ... Was joined by Burns High teammate Brandon Littlejohn in signing with WCU in 2012. Personal: Full name is Darius Devon Ramsey ... Is the son of Derrick and Phyllis Ramsey ... Has a younger sister, Breiona. Scholarship Offers: In addition to Western Carolina, Trey has received offers from UC Irvine, The Citadel, Appalachian State, Radford, Mercer, ETSU, Prairie View A&M, Gardner-Webb, UNCA, High Point, Penn, Yale and Loyola. It's now 21 days until kickoff of Catamount football at the Raymond James Stadium, home of the University of South Florida Bulls on August 30th in in Tampa, FL. 2013 (Freshman): Joined the WCU football team for spring drills ... Led all running backs with 39 yards on 14 carries, fumbling once during WCU's annual Spring Game. Prior to Western Carolina: Named the Southeastern 4-A co-Offensive Player of the Year by the Fayetteville Observer, tallying all-conference accolades ... According to NCPreps.com, rushed for over 2,000 yards on over 240 carries with 37 touchdowns as a senior ... Recorded 402 yards on the ground on 20 rushes for an average of 20.1 yards per carry, scoring six touchdowns in the 2012 season-opener against Wilmington Ashley HS ... It was the 23rd time a 400-plus yard game had been reported to the NCHSAA ... Also ran track & field as a prep. Personal: Full name is Jermine Detrez Newsome ... Is the son of Yolanda Newsome. It's now 24 days until kickoff of Catamount football at the Raymond James Stadium, home of the University of South Florida Bulls on August 30th in in Tampa, FL. Today, we'll continue to highlight linebackers. 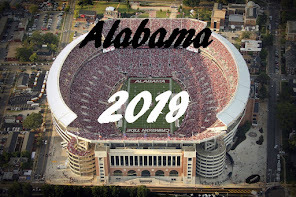 2013 (Freshman): Started all 12 games as a freshman linebacker, making his debut in the season-opener against FBS-foe, Middle Tennessee State ... Recorded 53 tackles on the year including at least two in each game - and four-or-more eight times ... Had two tackles for three combined yards in losses ... Ranked inside the top 50 among all Southern Conference defenders in tackles, averaging 4.42 per game ... Was fifth among all SoCon freshmen in tackles ... Recorded a career-high eight tackles against Furman, posting his career-best four solo stops in the home win over Elon ... Recorded two pass breakups and a quarterback hurry ... Named to the SoCon All-Freshman team ... Opened the scoring in WCU's annual Spring Game with a touchdown on a 52-yard fumble recovery ... Added four tackles in the spring-ending scrimmage. Prior to Western Carolina: Helped lead Buford High to the Georgia Class AAA championship, tallying eight tackles in the title game ... Forced and returned a fumble for a touchdown during the playoff run to the championship game ... Selected to the Gwinnett All-Star game at linebacker as a senior ... Also played basketball as a prep where he was mentioned by ESPNHS Georgia All-State Hoops, listed among the top high school players in the state. Personal: Is the son of Brian and Pam Jordan ... Both parents played collegiate sports at the University of Richmond - his father played college football and baseball and his mother was a women's basketball standout ... Brian was drafted in the first round of the 1988 MLB draft by the St. Louis Cardinals and then the seventh round of the 1989 NFL draft by the Buffalo Bills ... Played both professional football (Atlanta Falcons, 1989-91) and professional baseball (St. Cardinals, 1992-98; Atlanta Braves, 1999-01-2005-06; Los Angeles Dodgers, 2002-03; and Texas Rangers, 2004). It's now 23 days until kickoff of Catamount football at the Raymond James Stadium, home of the University of South Florida Bulls on August 30th in in Tampa, FL. On day 23, we come to our second retired football number, #23 worn by Jerry Gaines. Football, Track & Field, and Baseball - (1970-75) -An Associated Press and American Football Coaches Association All-America selection in 1974 ... Also earned All-America honors in baseball and track & field while at WCU ... Set WCU records with 3,449 career receiving yards, a 20.6 average yards per reception for his career and 15 games with over 100 receiving yards ... Only the second WCU football player to have his jersey retired. Jerry Gaines is the only three sport All-American in WCU athletic history. He was an NCAA Division II All America Selection in 1974 and helped the Catamounts to a 9-1 record and the national playoffs. He is one of three football players to have his jersey and number - 23 - retired and established over 40 football records as he caught 187 passes for 3,449 yards in four season. A track and field All-American in long jump and triple jump in 1971 and 1972. His records still stood after the 1990 season. He batted .404 in 1975 and was named NCAA Division II All America and North Carolina College Athlete of the Year. He signed with the Texas Rangers in 1975.